Cheers to our victory and to our fighters who stuck to their guns till the end for building a free nation for us and assured the survival and success of liberty. 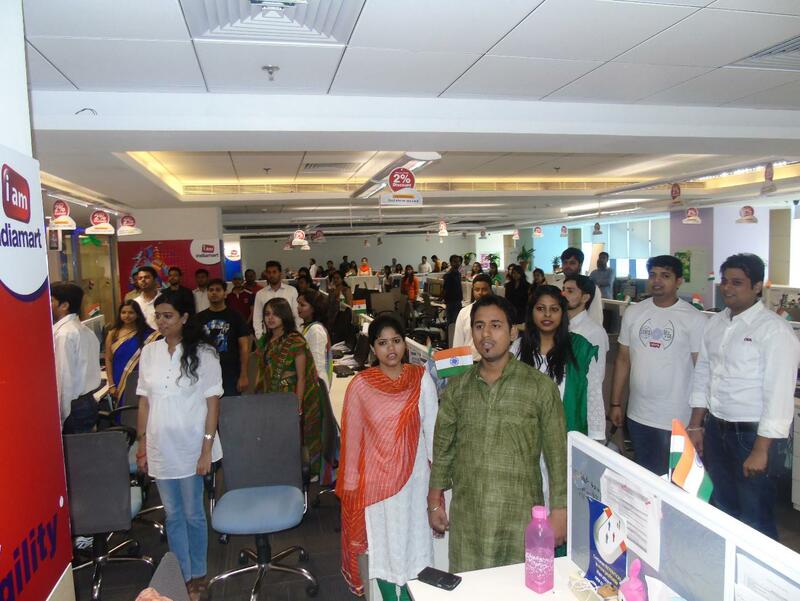 Celebrating this spirit, ahead of the Independence Day Celebrations, IM crooned the National Anthem and the whole office ensembled to honor and remember the sacrifice of our nation’s founders and heroes. What a sight it was, when everyone hummed in the spirit of independence. To top the occasion, a competition was held for all to adorn the three colors of freedom in their attires and strike the chords of patriotism. The participation was in full and the person dressed best in the tricolor theme was given exciting prizes. As someone has very rightly pointed out, ‘The best way to pay for a lovely moment is to enjoy it’, and that’s just what we did. Here are some moments captured with our team during the day! Besides, the patriotic fervor was well witnessed all around the office when its every corner was dotted with flags and balloons. It was a complete delight to glue our eyes and we swallowed up every moment of it.